Carefree Pools and Spas is a 2nd generation family business that has been serving Brockville and the surrounding area for over 40 years. With over four decades of experience, we have a broad knowledge of all aspects of pools – above ground, inground, spas and more. We are also members of the Pool and Hot Tub Council of Canada, Better Business Bureau, Carecraft, The Elite Pool Program and one of the founding members of the IPG (Independent Pool Group). Started in 1970 by the father of the current owner and manager, Peter Kelly, out of necessity of wanting their own pool, but not having anyone to build it. With nobody to install the pool for him, Peter Kelly Sr. took it into his own hands to build his pool and from that point on, there was no turning back. 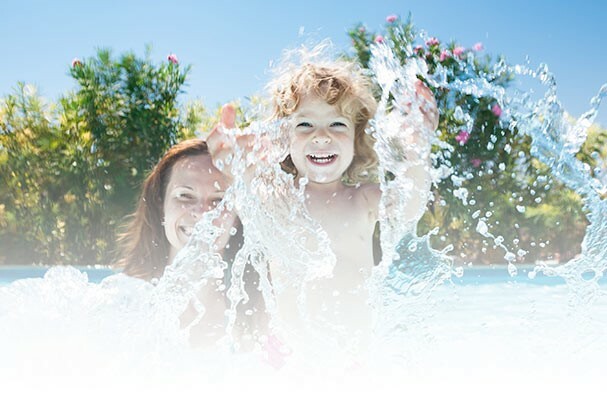 Now, 40 years later, having remained family owned and operated over the years, Carefree Pools has developed into a successful pool business with a proud reputation of serving Brockville, Prescott, Kemptville, Kingston and surrounding area with inground pools, above ground pools, hot tubs and spas. Carefree Pools provides complete installation and maintenance. Not only do we install pools, spas and hot tubs, but seasonal maintenance is also our specialty. Pop by and see us for pool supplies, including chlorine, bromine, salt, pH test strips and covers. With many other competing businesses in the area, we have gained an advantage over other companies by having a complete turn key, in-house operation. All services needed to build a swimming pool are offered, such as building retaining walls, landscaping and concrete decks, as well as a complete pool installation. By offering all these services in-house, this saves the need to contract with other companies, creating a carefree pool installation experience.